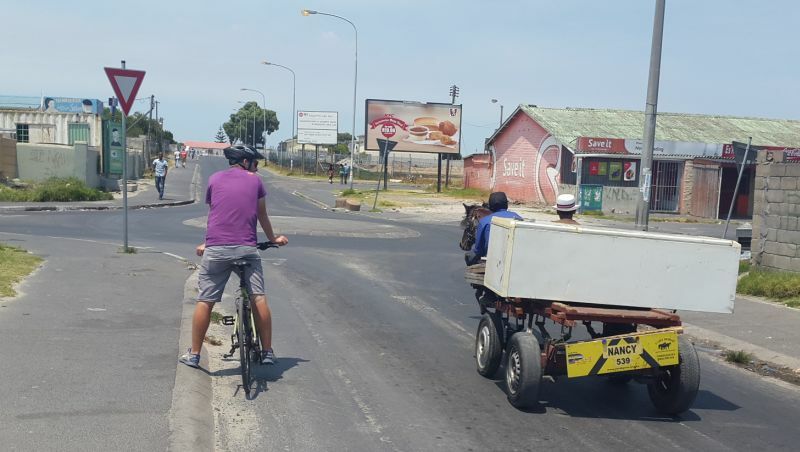 AWOL Tours has expanded its Community-based Bicycle Tours in Cape Town to include another community. 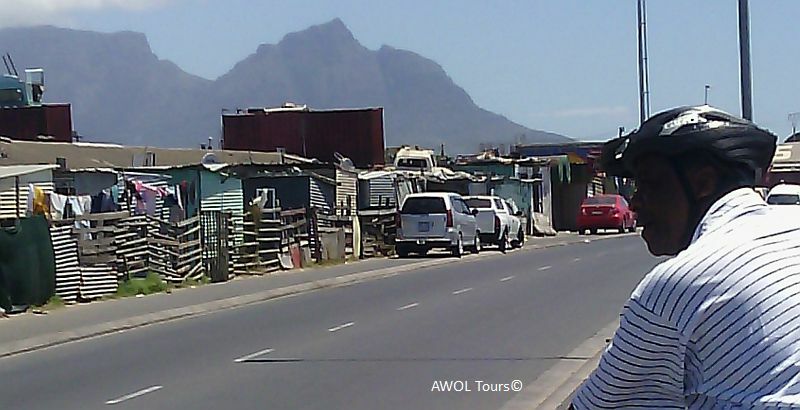 Building on the success of operating a Bicycle township tour in Masiphumelele for the last 15 years, AWOL is now offering guests an opportunity to gain insight to the post apartheid Gugulethu community. 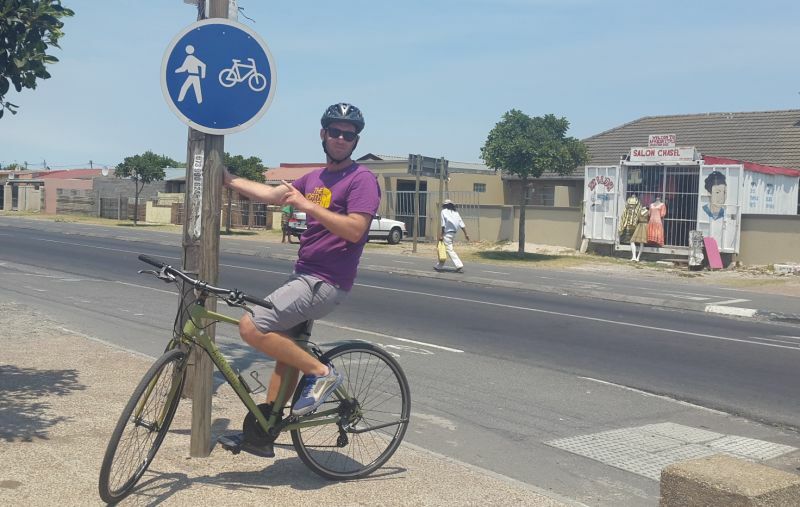 As we cycle through this historical township with a more developed urban landscape we learn about the political past. 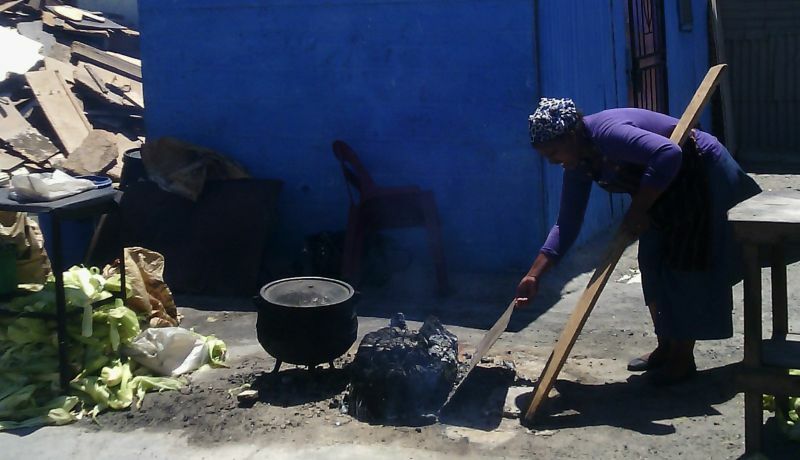 Gugulethu was established in 1958 under the racial segregation laws of apartheid. Gugs as many call it, became home to many job seekers and migrant workers from the Eastern Cape who moved to Cape Town in the hope of finding work. Unlike many Townships I have seen, Gugs is well developed and has a lot of basic facilities. However this is still very much an informal settlement and allot of work remains to be done in this community. I recently spent the morning in Gugulethu with a local resident and guide with a view to find out how we can best share this community experience with visitors. One of the very first stops is a tall granite sculpture commemorating the 7 young men who were ambushed and killed in a 1986 by the police, as I read the names on the plaque I noted that I share a clan name with one of them, he came from the same ancestor as I did. 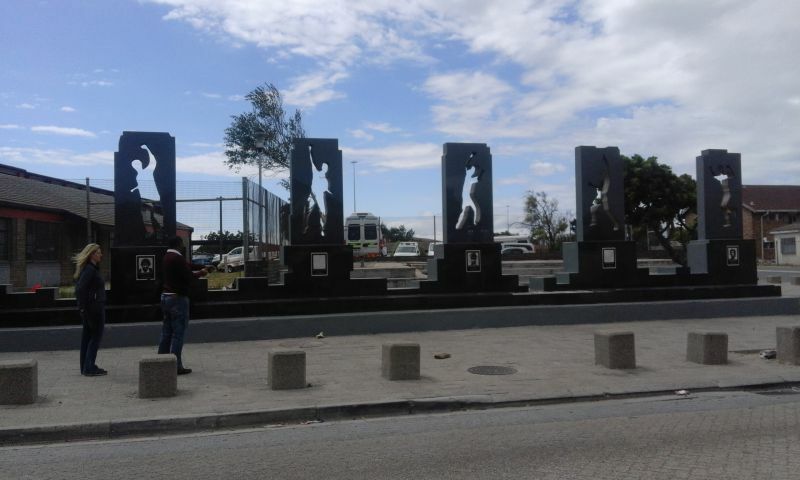 A short distance away is the Amy Biehl memorial and a reminder of the profound bridge building between this community and the family of Amy Biehl, a young American exchange student who lost her life in Gugulethu during political upheavals. In Amy’s remembrance the Biehl foundation was formed in 1997 to encourage social, cultural and economic empowerment. So many young lives were taken to soon but they gave so much to the strong political legacy of Cape Town. As we wonder the streets I am aware of the entrepreneurial spirit, people are selling anything and everything, from taverns, street barbeques, large yellow mielies cooking at the side of the road to hair and nail stands, as well as numerous vehicles operating as cabs, everything is a business and business is busy. 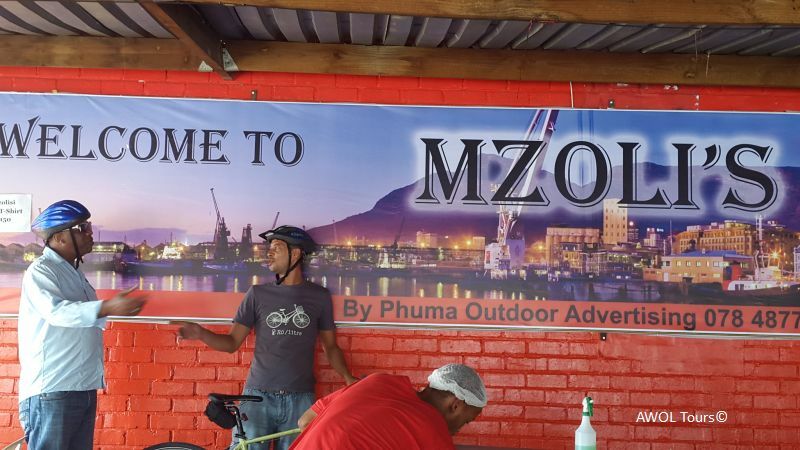 After leisurely cycling on the wide road with specially marked cycling lanes, with brief stops at the crèche, a traditional healer and the local library, we made our way to Mzoli’s. This famous South African establishment serves braai meat and pap in African style – one knife, one plate of pap and one tray of meat for all to share.